A historic town just fifteen miles east of Seattle, Issaquah is surrounded by mountains and lake and is home to many hiking and outdoor activities. Homeowners in the Issaquah area want the flooring in their home to stand up to wear and tear but still be attractive. Whether for newly built or remodeling existing homes, it’s no surprise that tile flooring is popular in the Issaquah area. Tile has always been popular, but has recently come back into trend with an amazing array of choices. New manufacturing techniques have allowed homeowners to have many more options in size, shape, color and texture of tile. Visual attractiveness, toughness and resistance to stains are just a few of the perks of tile flooring. Tile flooring is very popular among custom home builders and professional remodelers. There is no shortage of beautiful choices that can be tailored to meet your needs, even if you are on a tight budget. If you are planning to remodel your home, you should definitely consider how tile can add to the elegance of your home. What Is Tile Made Of? Tile is made up of minerals, water, and clay. Some types of tile are also covered with ceramic to give the tile its finish and color, which is known as “glazed.” Glazed tile is stain-resistant, durable, has an impermeable surface and is easily cleaned. It is generally used indoors and used for decorative purposes. Unglazed tile is made up of dense material, extremely durable and can be used for outdoor or indoor purposes. There are five types or classes of tile that range from purely decorative to commercial flooring use. What type of tile you need depends on the room and the amount of traffic you want to use it in. These are glazed tiles that are highly decorative. Mainly used on walls or for backsplashes, these tiles are not recommended for flooring. If used in a bathroom, you will need to consider the possibility of slipping when they become wet. These tiles work well for light traffic areas like interior walls or bathroom flooring. High traffic or excessive use will probably cause the tile to chip and crack. These glazed or unglazed tiles are suited for higher traffic areas. They will work well for floors in any room of your home, including the bathrooms, kitchen, dining room and living rooms. This class of tile is middle of the road and can accommodate traffic in both residential and commercial buildings. It is strong enough to be used in shopping malls, offices, restaurant dining rooms, showrooms, galleries, and hallways. This tile will definitely stand up to any pets, kids or high traffic areas you may have in your home. Class five tile is the strongest. They can be safely used in extremely high traffic areas. You can also use them outdoors. These tiles are usually unglazed. Issaquah area residents who are considering replacing their existing flooring or choosing options for their new home are increasingly opting for tile. Tile is a great choice for four main reasons: versatility, durability, environmental advantages and because it is very low maintenance. There is a tile for every home style and taste. Whether you prefer modern, rustic or a classic look, you can find a tile that perfectly complements the style that you are going for. Did you know that you can get tile flooring that looks exactly like hardwood flooring? Tile flooring is surprisingly resistant to scratching and damage due to stains. Other flooring can get scratched and worn down by pets or moving heavy furniture. Tile stands up well to all kinds of wear and tear and will look newer for much longer than other flooring. Since tile is made of earthy materials, it does not contain the toxic materials that other kinds of flooring do. Ceramic, porcelain, stone, and glass typically make up tile, which are all sustainable materials. Issaquah residents can feel good about how their flooring choice affects the environment. Keeping your tile floors looking great is not hard at all. Frequent light cleanings to remove dust are mainly all you will need to do. Just use a little soap and water for deep cleanings and your floor will look as good as they did the first day they were installed. Where to Find Quality Tile? In the Issaquah area, the best place for tile flooring is Carpet To Go. Our friendly and experienced staff will answer all your questions. 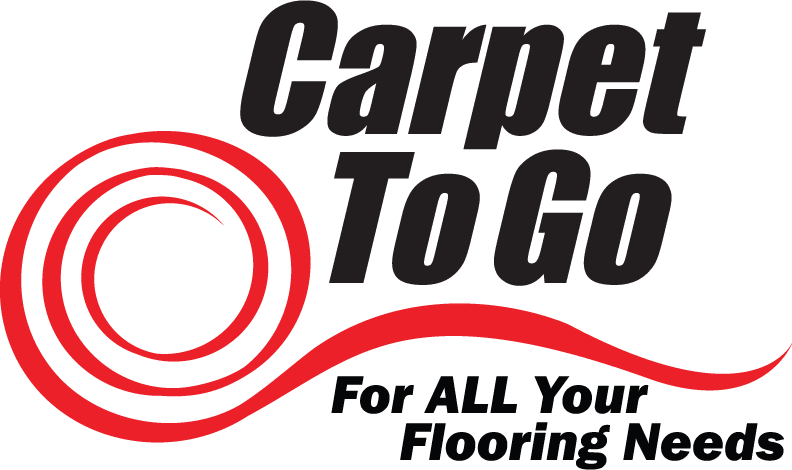 From choosing the perfect tile to having it installed, Carpet To Go is the best choice if you live in the Issaquah area. Come by our store in Bellevue or call to schedule an in-home consultation.